C.D. Glin is the President & CEO of the U.S. African Development Foundation, a U.S. government agency dedicated to supporting African-led, African-driven development solutions. C.D. 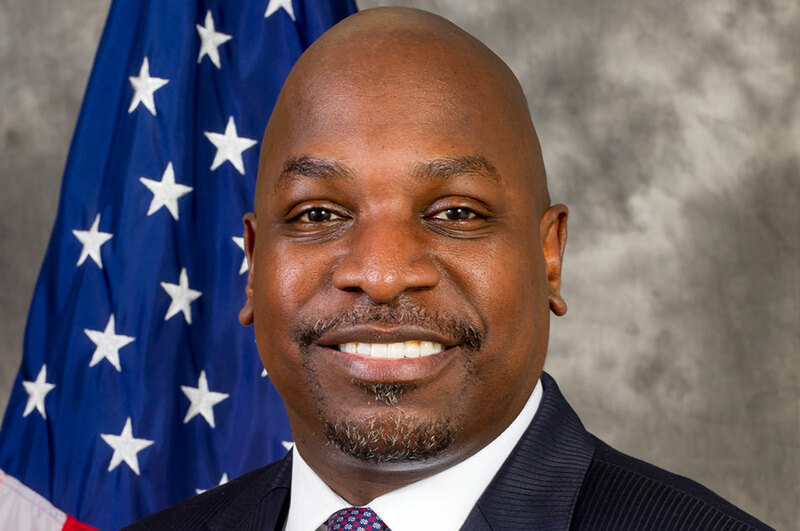 Glin is the President and CEO of the U.S. African Development Foundation (USADF), a public corporation established by Congress to support and invest in African-owned and led enterprises, promote inclusive economic growth and create pathways to shared prosperity for underserved communities. The USADF approach prioritizes African investments and customized local technical assistance to African grassroots communities and enterprises. Glin oversees approximately $75 million in philanthropic investments in more than 500 community and social enterprises. He champions the Foundation’s strategic partnerships and collaborations with non-profit, philanthropic, and private-sector organisations, as well as academic institutions, federal agencies and foreign governments. Prior to joining USADF, Glin was the Associate Director for Africa for the Rockefeller Foundation. His responsibilities include shaping and scaling innovative solutions in promotion of the Foundation’s dual goals of building resilience and promoting inclusive economies. Glin contributed to several initiatives including Harnessing the Power of Impact Investing, Climate-Smart Rural Development, 100 Resilient Cities and led YieldWise, a $130 million-dollar effort to improve incomes and to create jobs for smallholder farmers by reducing post-harvest crop loss and promoting sustainable sourcing in African agriculture value chains. From 2009-2011, he was a White House appointee in the Obama Administration serving as the Peace Corps’ first Director of Intergovernmental Affairs and Global Partnerships. Glin established the Office of Strategic Partnerships and developed and directed stakeholder engagements, thought leadership initiatives and internal and external communications and relationship management efforts. Previously, as Vice President for Business Development with PYXERA Global, Glin established local content, skill-based volunteering, business advisory, employee engagement and corporate social responsibility programs for Fortune 100 companies. Glin worked for the State Department, USAID and the World Bank while based in Ghana and Nigeria. Glin served as a volunteer in the first Peace Corps South Africa group, during the Presidency of Nelson Mandela. He holds a B.A. in Political Science from Howard University; a Master’s Level Diploma in Strategy and Innovation from the University of Oxford’s Said Business School, and completed the Venture Capital Executive Program at UC Berkeley. Glin is a life member of the Council on Foreign Relations and serves on the Board of Directors of Root Capital, a non-profit social investment fund. He is a past member of World Economic Forum’s Transformation Leaders Network and is a past participant in the Aspen Executive Seminar on Leadership, Values, and the Good Society. In 2011, Glin was designated by the White House as a “Champion of Change” for his commitment and contributions to international service and civic participation.